Potion not working as intended. 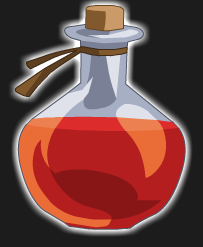 Description: This potion restores health based on your weapon damage. Thanks to the kings5529 and the magic caster.